Gregory H. Holt argues that federal law protects his right to grow a beard for religious reasons. On Tuesday, the Supreme Court will hear oral arguments in Holt v. Hobbs, a case that will test the limits of religious liberty for prison inmates. Specifically, the court will determine whether prison officials may prohibit or limit a Muslim inmate from growing a beard, which many Muslims believe is required by their faith. How did the case arise? In 2009, inmate Gregory Holt (also known as Abdul Maalik Muhammad) asked state prison officials in Arkansas for permission to grow a half-inch beard. Holt and many other Muslims say they are obliged to keep beards in order to follow the example set by the Prophet Muhammad. 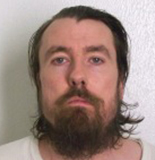 But Arkansas denied Holt’s request, citing state regulations that prohibit prisoners from growing beards (except for medical reasons), because beards can be used to hide weapons, drugs and other prohibited items. In spite of the denial, Holt, who is serving a life sentence for burglary and domestic assault, grew his beard and refused to shave it. He also filed a lawsuit, arguing that state officials violated the federal Religious Land Use and Institutionalized Persons Act of 2000, which aims to protect the religious liberty rights of inmates and others in state institutions. Since 2012, both a federal district court and the 8th U.S. Circuit Court of Appeals have ruled against Holt. The courts have ruled that, notwithstanding the law’s protections, the state has demonstrated that the beard is enough of a security risk to warrant the ban. Holt then petitioned the Supreme Court, which agreed to review the decision. What is the Religious Land Use and Institutionalized Persons Act and why is it important in this case? The statute focuses on inmates and other institutionalized persons because those who are confined and controlled by the state are more likely to have conflicts between their religious beliefs and government regulation. Under the law, if an inmate demonstrates that a regulation imposes a “substantial burden” on his or her religious practice, the inmate will be exempted from the rule unless the state can show that the regulation advances a “compelling government interest” and does so in a way that is “least restrictive” to religious liberty. In this case, for instance, if Holt shows that the prison’s ban on beards substantially burdens his ability to practice Islam, Arkansas prison officials must exempt him from the ban unless they can show that it furthers a compelling state interest and does so in a way that least restricts Holt’s religious rights. What arguments do Arkansas prison officials make? The state argues that it has an obvious compelling interest in enforcing its ban on beards: the maintenance of prison security. All kinds of things, from pins to razors to drugs, can be hidden in beards. Also, once a bearded prisoner escapes, he can dramatically alter his appearance simply by shaving, potentially making it much harder for officials to find him. In addition, state officials contend that courts should not require prison officials to provide excessive evidence or data that the policy in question promotes security. Prisons are extremely dangerous places and thus, barring obviously absurd claims by prison officials, courts should defer to prison officials on questions of whether a policy is or is not needed to maintain security. In this case, officials say, they have determined that the ban on beards is necessary and that should be sufficient. What arguments does Holt make? Holt contends that the Religious Land Use and Institutionalize Persons Act clearly requires the state to show that the policy being challenged advances a “compelling state interest” in the least restrictive way possible. Officials should not be able to meet this test by simply claiming they have such an interest and then not offering any real evidence to back up this claim. In this case, Holt says, Arkansas state prison officials have no credible evidence to back up their contention that a half-inch beard, like the one Holt has grown, poses any kind of security risk. They have not been able to produce one instance of a prisoner using a short beard to hide weapons or contraband, he argues. In addition, he points out, the federal prison system, as well as more than 40 state systems, all allow prisoners to grow beards up to a half inch in length. Given these facts, Holt contends, the state cannot claim that it has a “compelling interest” in preventing prisoners from growing short beards for religious reasons. What might be the broad significance of this case? While a plain reading of the federal law seems to support Holt’s argument that state officials must back up their claims with evidence, the legislative history of the statute indicates that its drafters recognized the need for giving deference to prison officials. How the high court ultimately reconciles these two notions will probably determine how it decides the case. If the court sides with the state and agrees that prison officials should be given deference when questions of security arise, it will make it very difficult for other inmates to prevail in future religious liberty claims. If, however, the court decides on a more direct reading of the statute, prison officials will need to meet the statute’s tough test in order to convince judges to deny an inmate’s valid religious liberty claim.